Formed 1 Nov 1938 in Brieg from Stab/Aufkl.Gruppe 13. On 26 Aug 1939 redesignatedKoluft 10. 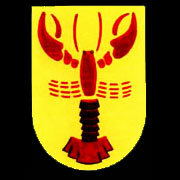 Formed 1 Nov 1938 in Brieg from 1./Aufkl.Gruppe 13. Used for night-recon. duties from late 1944. Served under Stab/NAGr.11 (May 1942 - Aug 1943), Stab/NAGr.10 (Sep 1943 - Oct 1943), Stab/NAGr.8 (Nov 1943 - Jan 1944) and Stab/NAGr.5 (Jul 1944 - Aug 1944). 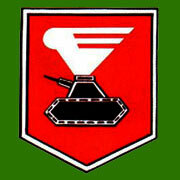 Formed 1 Nov 1938 in Brieg from 2./Aufkl.Gruppe 13. On 1 Feb 1944 redesignated 3./NAGr.4. Served under Stab/NAGr.10 (May 1942 - Oct 1942, Dec 1942 - Jul 1943), Stab/NAGr.1 (Nov 1942, Aug 1943) and Stab/NAGr.6 (Sep 1943 - Jan 1944). In Jan 1942 redesignated 3.(H)/31. On 1 Mar 1943 redesignated 3./NAGr.2. Served under Stab/NAGr.1 (May 1942 - Aug 1942), Stab/NAGr.16 (Sep 1942 - Dec 1942) and Stab/NAGr.2 (Jan 1943 - Feb 1943). Formed Jan 1939 in Brieg. Served under Stab/NAGr.8 (May 1942 - Aug 1942), Stab/NAGr.3 (Sep 1942 - Jan 1944) and Stab/NAGr.4 (Jul 1944 - Aug 1944). Formed Feb 1941 in Brieg from parts of 1.(H)/31. Formed Feb 1941 in Brieg from parts of 4. (H)/31.